Paul has been a passionate player, recorder, and listener of guitar music for over 35 years. Born in the UK, he now lives in Florida, USA. As both a musician and tutor for many years, I know that for many, if not most people, can find buying their first guitar intimidating. As a beginner, you are faced with a bewildering array of choices and advice, and can easily feel like you just don't know where to start. 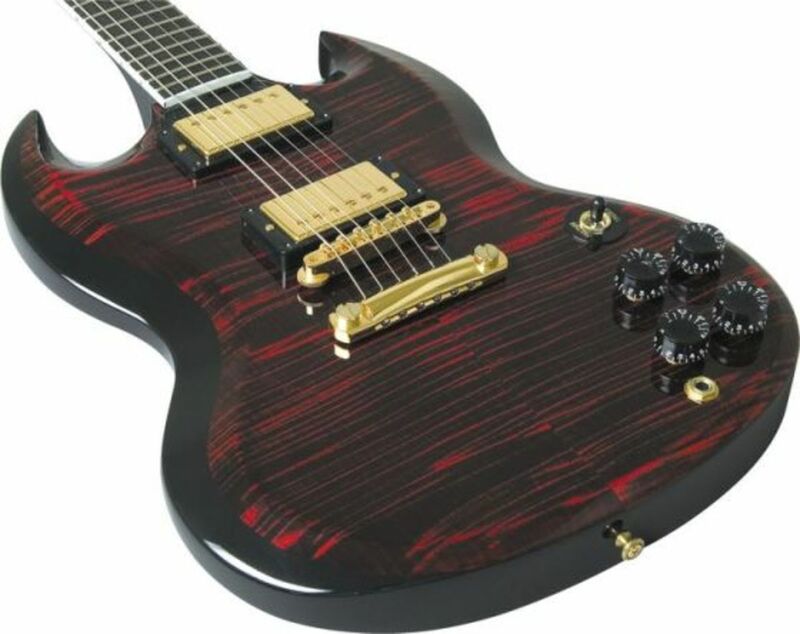 Although guitars can look pretty similar to an inexperienced eye, they all have differing qualities and traits, such as how easy they are to play, how expensive they are, and the tone and the quality of the sound that they produce, as well as other features such as their color and size. The process of choosing and buying can easily feel overwhelming if you are not careful. Generally speaking, the best guitars for learners will typically be relatively easy to play, have a reasonable sound, but also be relatively inexpensive. I personally would recommend against selecting an instrument on the basis of its color, or focusing too much on its overall appearance - yes, there are some very beautiful instruments out there, but these instruments are primarily for making music, as far as I am concerned, and therefore how they play and sound are the most important features, especially for a learner. I go into more details and give my reasons for my choices below. The G-Series guitars are great whether you are a beginner or a professional. 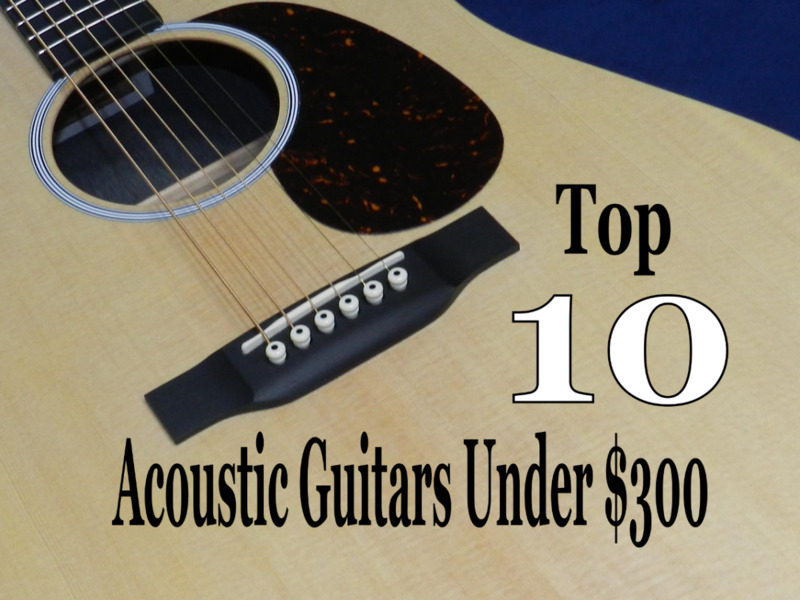 The GD30 has a spruce top which gives it an extended dynamic range and a full, rich sound. It's easy to play, looks and sounds great, what else could a player ask for. 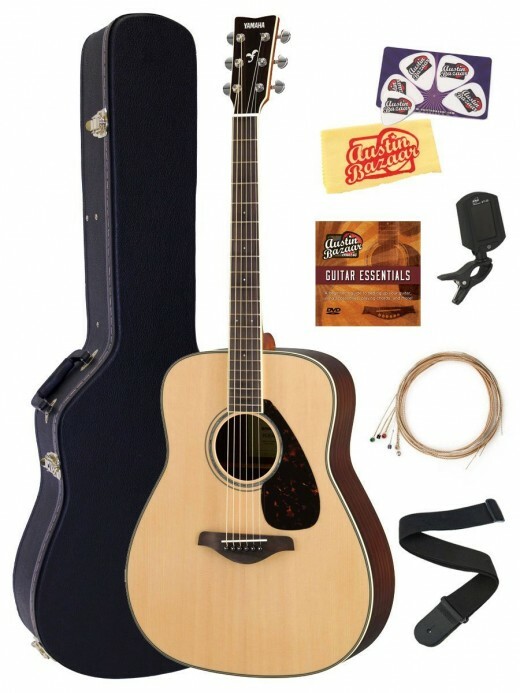 There are some beautiful instruments in the Takamine G Series and it is a great place for beginners to start looking in my opinion. The Takamine brand was founded in 1962 in Japan. Since then they have turned into one of the best known acoustic guitar makers globally. 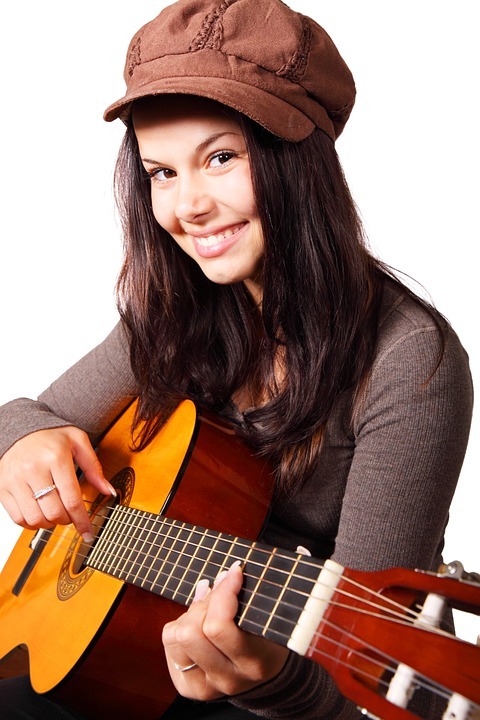 They have many famous guitar playing fans including Garth Brooks, and Bruno Mars. The G series covers a wide range of guitars, so I will focus on one that I have particular experience with. The GD30 dreadnought is at the least expensive end of the price range, but it is still an excellent sounding instrument, with a solid spruce top to give it a rich resonance and tone. It offers excellent value for money in my opinion. Very playable, which is essential for a beginner. The cutaway body enables me to reach the high frets. As I mentioned, the solid spruce top gives this guitar a rich resonance and tone. Well built and quality wood. This guitar will last forever if you look after it. Available in different colors. (Mine is black). I seriously struggle to find any downsides with this guitar. It's difficult to beat within its price range. Affordable 6-string acoustic that is an excellent starter for beginners. The Yamaha FG830 is a well constructed guitar, I especially love the solid sitka spruce top and the developed scalloped bracing. A great value buy. I have been a big fan of Yamaha for many years. They make some excellent guitars for all skill levels and various tastes, but especially instruments for beginners. 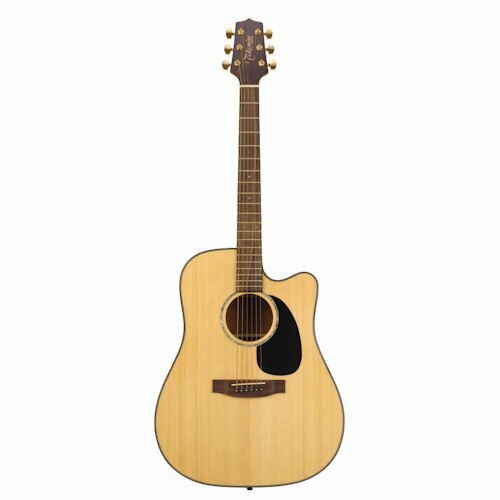 So when my daughter was learning to play the guitar, I bought her their FG830 Acoustic. It's a relatively affordable guitar, which is an excellent choice for learners. My daughter loves it, and I love to play it too, when she lets me! It's a joy to play. The solid sitka spruce top and rosewood fingerboard both contribute towards this instrument sounding and looking great, as well as feeling good to play. Affordable, plus you can get some great bundle deals that include a hard case and other stuff. I love the solid Sitka spruce top with scalloped bracing. Sounds beautiful, especially in the low to mid range, full with rich overtones. The small, thin body works well for small or young players. It's made in China, which may put some people off. A strap so that you have the option of playing while standing up, as well as seated. A tuner, which can help you to keep the instrument in tune, especially helpful when you are a beginner, or if you have to tune up in a noisy place. A pickup can make electronically amplifying your instrument relatively easy, enabling you to play larger and noisier venues, record your guitar without needing a microphone, and be able to use effects pedals. A case or bag for protecting your instrument from potential damage, such as scratches and impacts, as well as making transportation easier. With a Canadian wild cherry back and sides, rosewood neck, and a semi-gloss custom polished finish, the Seagull S6 "The Original" Acoustic is a beautiful instrument worthy of consideration for those desiring a beginner's six-string. The Seagull S6 may be a little on the expensive side for some learners, but that doesn't make it poor value - on the contrary, the Seagull S6 is wonderfully constructed, has a sound to die for, and is an excellent investment. Made in Canada, this beautiful wooden instrument features a solid cedar top, with wild cherry back and sides. Great tone and overall sound from the mahogany and maple combination.. I bought mine with a hard case included, which was a great deal. Stays in tune very well. The rosewood fretboard feels nice on the fingers. I ended up tweaking the set-up a little by changing the string saddle. 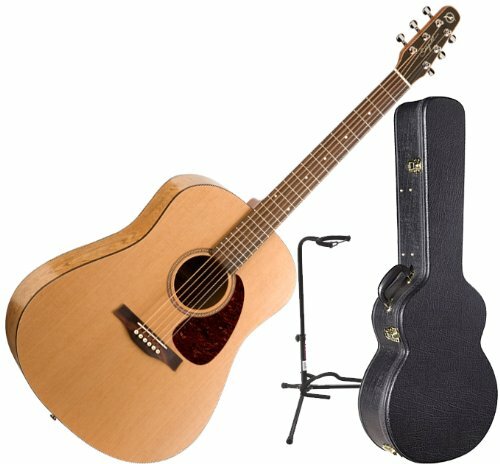 What's the best acoustic guitar for a complete beginner? I would recommend something from the Takamine G Series. They are reliable and easy to play guitars that offer excellent value for money. They're great for beginners in my experience. 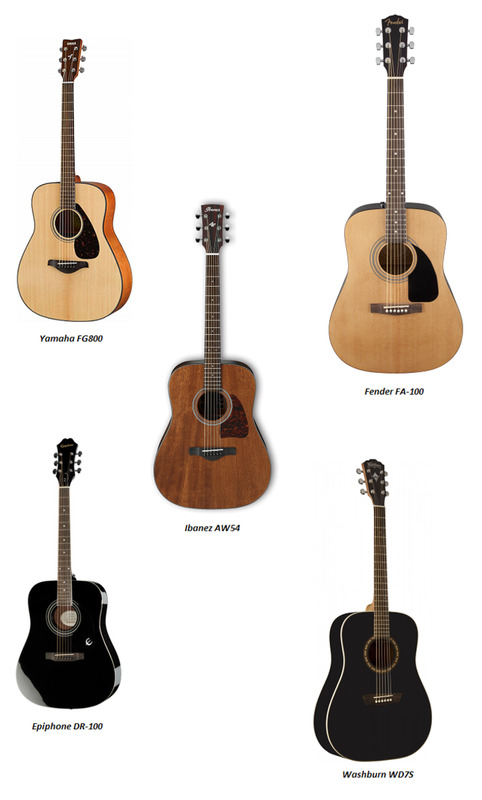 My personal favorite is the GD30 dreadnought. It's at the more affordable end of the price range, but it delivers a rich and resonant tone, thanks in part to the solid spruce top. The cutaway body enables me to reach the high frets, which I like when I'm plucking melodies and soloing, rather than strumming chords. It's a solid guitar, which I'm convinced will outlive me. 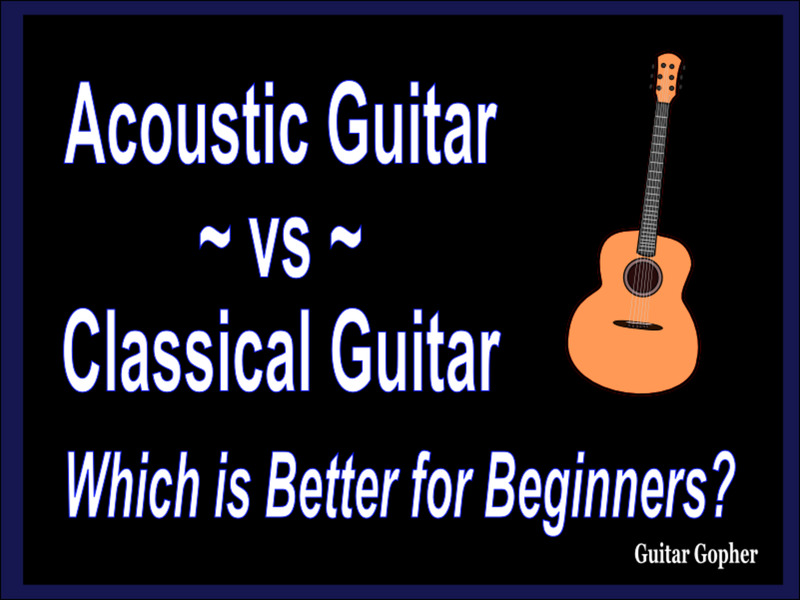 Classical vs Acoustic Guitar for Beginners: Which is Better? Great lense and suggestions for beginner guitarists! Music enriches our lives so much - I feel it's essential to try out one instrument, at least. I played piano, however I always felt a guitar would've been better since I could simply carry it with me to a beach party or get together. My son plays guitar. I'll have to show him this. Great list! These are fairly inexpensive too. Thanks!